HYDERABAD: Speakers at a condolence reference paid rich tribute to philos­opher and scholar Jawaid Bhutto, who was gunned down in Washington on March 2, and called him a great asset of Sindh. They were speaking at the programme organised by Progressive Writers Associa­tion and Awami Workers Party at Sindhi Language Authority on Friday. 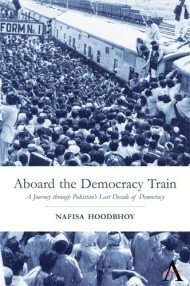 Late Jawaid’s widow and writer Nafisa Hoodbhoy recalled that her husband had always loved such gatherings and was a regular in them. The man who mur­dered her husband was a mentally sick person, she said. She said she badly missed Jawaid today. His murder was mysterious and she failed to reconcile with the fact that her husband had been killed and was no more with her, wondering why that man killed an innocent person like Jawaid. Sindh United Party presi­dent Syed Jalal Meh­mood Shah said that Jawaid was a nice and humble man who had always felt people’s pain. In such incidents one paid the price for the mis­takes committed by others. He had had several meetings with Jawaid but philosophy was never discussed between them, he said. Rahat Saeed observed that one must discuss as to why Jawaid left Sindh. Perhaps he had thought that he was talking to walls and there was no one to listen to him. Such conditions always caused despondency among people but his love for Sindh always brought him back to his land and people, he said. She said that Jawaid believed that philosophy of Karl Marx ensured eman­cipation of humanity and he never gave up being compa­ssionate to people. This was something that led him to mysticism. Awami Workers Party president Dr Bakhshal Tha­lho recalled that he had first witnessed Jawaid talking to students on philosophy in Sindh University in the ’90s and he could never forget that moment. Jawaid was a free-thinking soul and he always believed in moulding opinion but he never compromised over truth, he said. He said that Jawaid was a teacher of philosophy and his death was a great loss for Sindh. “There are many poets and artists today but we do not find philosophers in our society and since Jawaid was a teacher of this subject he had command over every subject. Jawaid was not a conventional socialist or communist but he was a man who believed in ground realities,” he said. Imdad Chandio said that Jawaid always remained in search of truth and redis­covering everything. The late scholar had defined an intellectual as a person who could challenge establish­ment and stand for uprig­htness and truth, he said. He said that today Sindh needed people like Jawaid who had the art of explaining different concepts and ideas. He was a great asset of Sindh, he added. Writer Amar Sindhu cal­l­ed for redefining progre­ssi­vism in Sindh and said that only people like Jawaid could interpret real progressivism. If anyone was able to redefine progressivism for the educa­ted lot of Sindh it would be a great achievement.